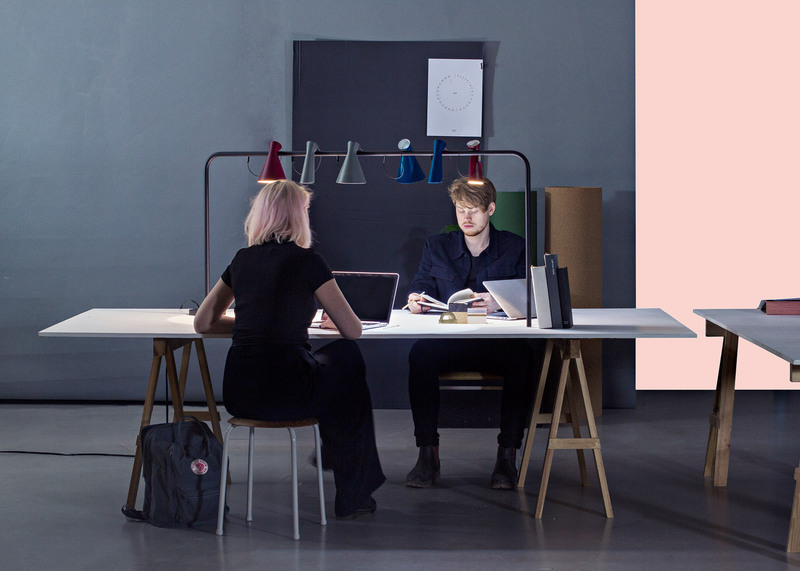 Milan 2016: students from the Lund University have collaborated with the co-founder of Danish brand Hay to produce a range of experimental office furniture especially for small-scale workplaces (+ slideshow). 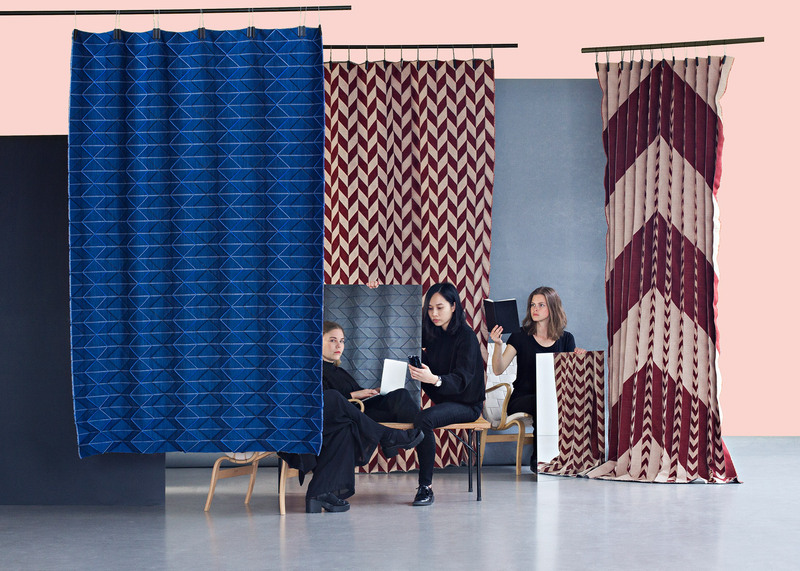 The 12-piece collection, which was created in collaboration with Rolf Hay and German designer Stefan Diez, was presented at an installation named In Our Office at this year's Milan design week from 12 to 17 April 2016. 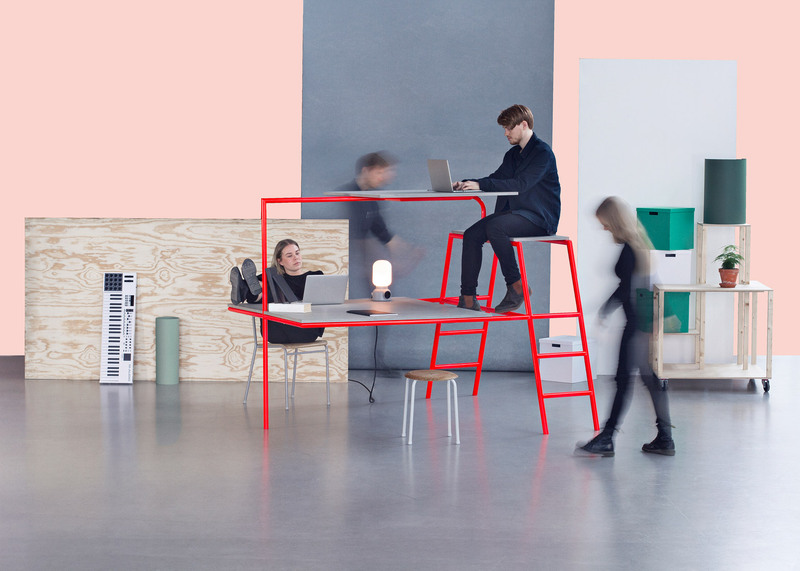 "On the grounds of economy of scale and for sheer convenience, the office furniture industry has focused on large-scale offices," student André Gunnarsson told Dezeen. "The small-scale office has remained a somewhat mystery to the furniture industry." "Nevertheless, the small-scale office is an interesting habitat, particularly regarding young creative workers," he continued. "It aims to offer a habitat for young creatives pursuing their own dreams and convictions beyond the beaten track of corporate constraints." Rethinking office furniture was a key trend in Milan this year, where Dutch furniture brand Lensvelt presented its collection of intentionally "boring" office furniture at an installation at Ventura Lambrate, and Ercol launched a contemporary range of home study furniture at the Salone del Mobile fair. 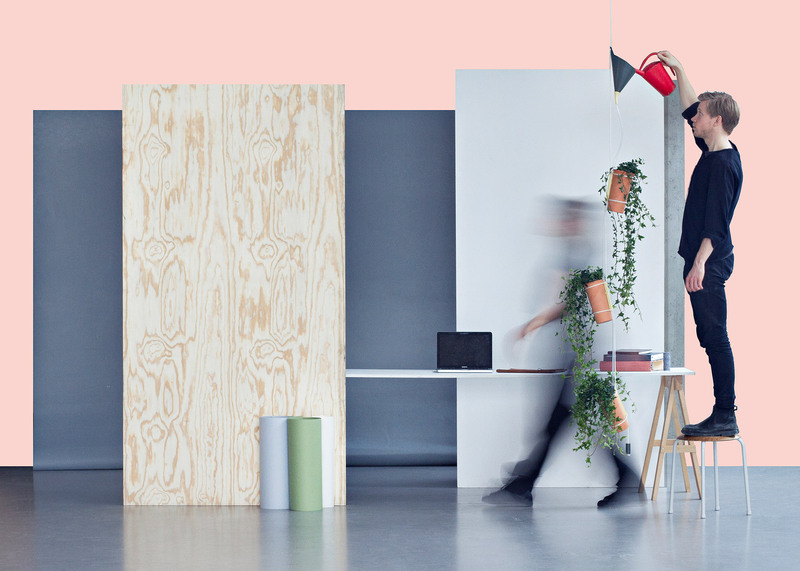 Pieces in the collection range from desks modelled on bunk beds, to a chain of plant pots designed to purify office air. 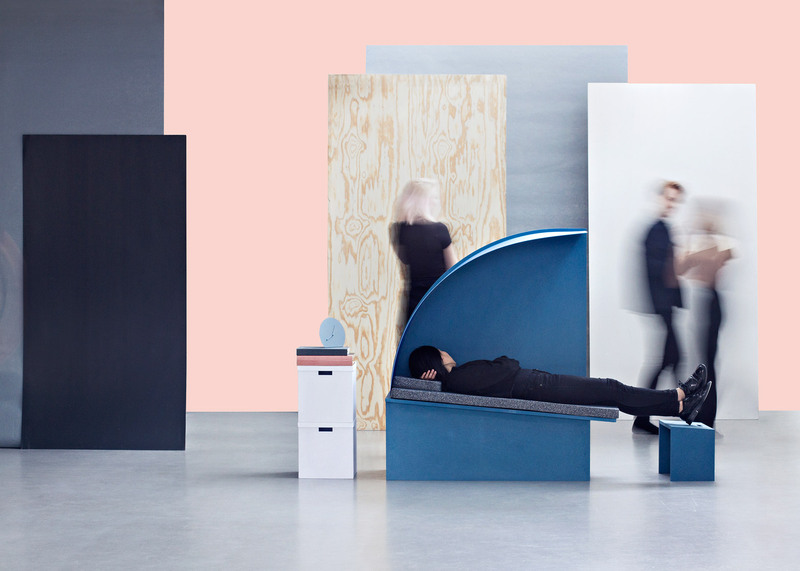 Designer Fredrika Hansson has focused on need for privacy in small offices, creating a wall partition with a fold-down bed that allows workers to nap throughout the day. "In our office we have blurred lines between working hours and fun times," said Hansson. "The ping-pong breaks and coffee rituals are the small things that make us inspired to do great work, but the small-sized office can be compared to sharing a room with your sibling." "It is great to be able to be together, but sometimes you need a break for yourself," she added. "Be Right Back allows us to regain energy by taking a rest." 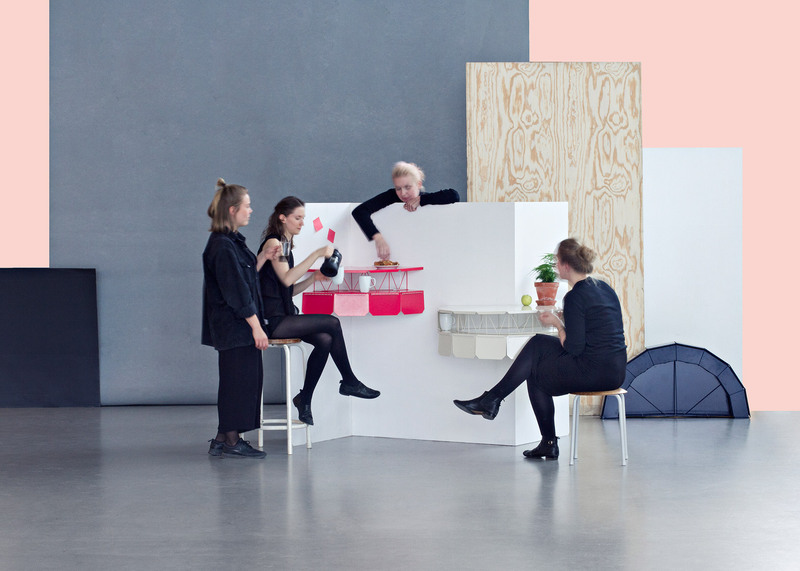 Earlier this month, office design expert Jeremy Myerson told Dezeen that the Google-inspired fad for slides and ping-pong tables has had a damaging impact on the workplace. 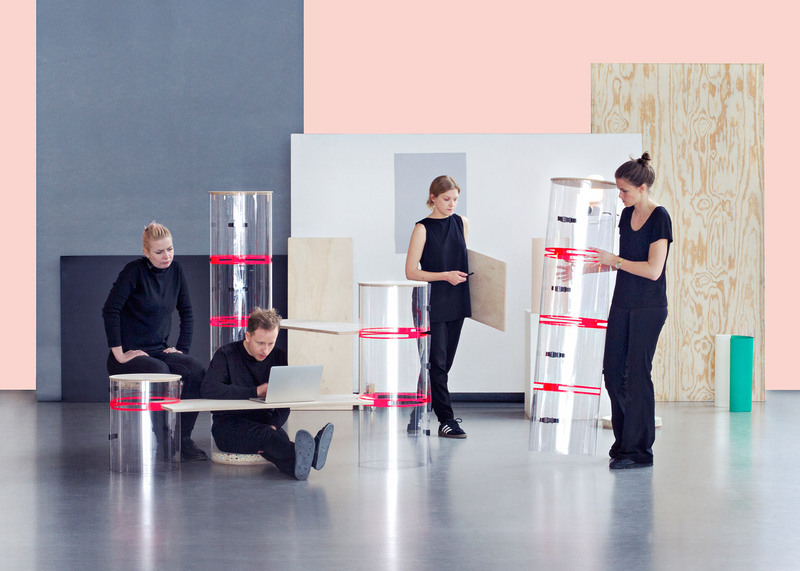 Avoiding distraction from colleagues is a common theme among the products, and designers André Gunnarsson,Malin Yngvesson and Rae Bei-Han Kuo have each come up with systems to encourage concentration. For his Bunk Desk system, Cunnarsson looked to the stacked designs of bunk beds – a piece of furniture consisting of two beds, one above the other, that together form a unit. "Having a hard time concentrating due to chatting desk buddies is a common problem in the small-scale office," he said. "For better or worse, everything tends to become a group activity." By splitting the desks onto different levels, Cunnarsson hopes to provide a space where the office buzz fades away – allowing workers to get on with the task in hand. 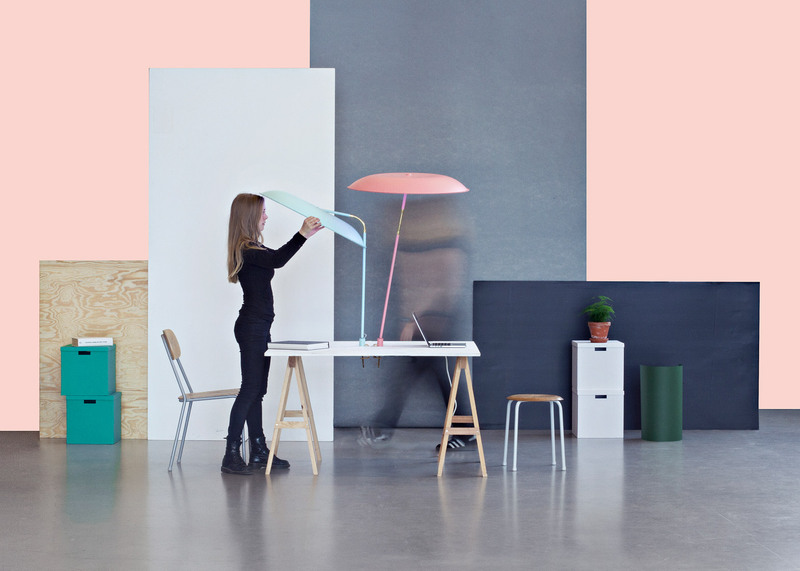 Others have looked to impact of lighting and electrics in the workspace, and have come up with interactive solutions such as Emilia Claesson's personal spotlight, and a flexible wiring system by Bjorn Fjaestad and Jennifer Bengtsson. Fjaestad and Bengsston's Plug & Play is a modular wiring system that lets the user create adaptable power grids by placing and connecting access hubs with flexible cords. "In this day and age power outlets tend to determine where we can sit and work and can result in undesirable cable situations," they said. "We want to change that." 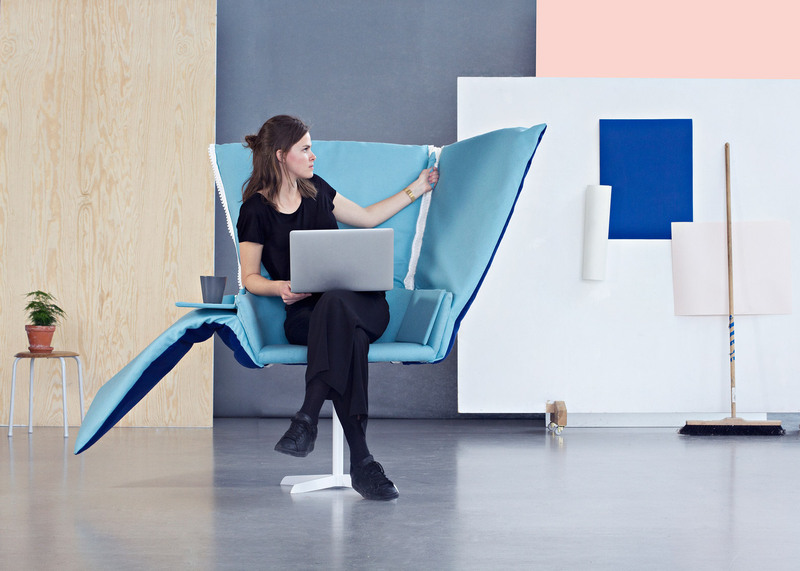 Other pieces in the collection include an activity-based desk organiser, a modular pop-up furniture system, a "coffee corner" for impromptu meetings, and a multifunctional folding fabric that can be used to create seating or as a noise absorber.